Although I am aware that some of these looking back posts, especially ones like birthdays and Christmas, are more for me than anything else and that other people are probably not that bothered to see what we did 6 years ago! I still want to document it as I guess that was part of why I wanted to start this series. 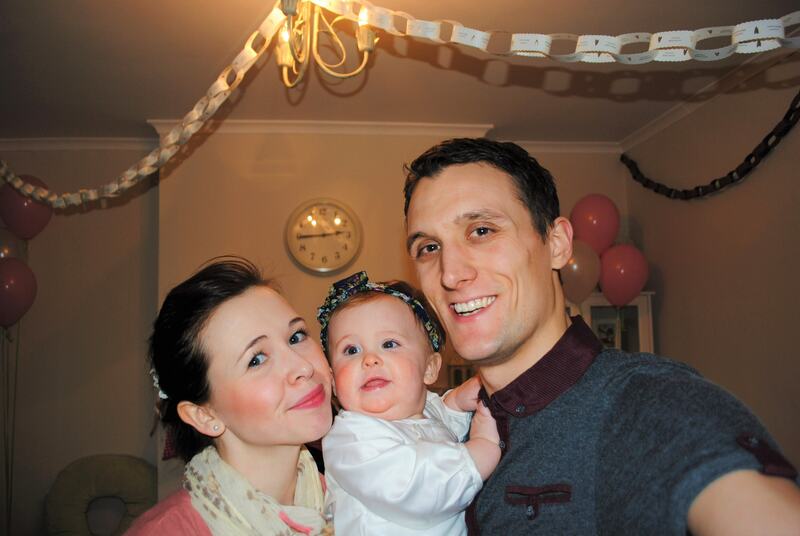 If I had had the courage to start this blog before she was already 5 years old like I had always wanted to then I would have these little moments captured in real time, so here goes, this is what we did for Eva’s first birthday which incidentally is 5 days after Christmas! 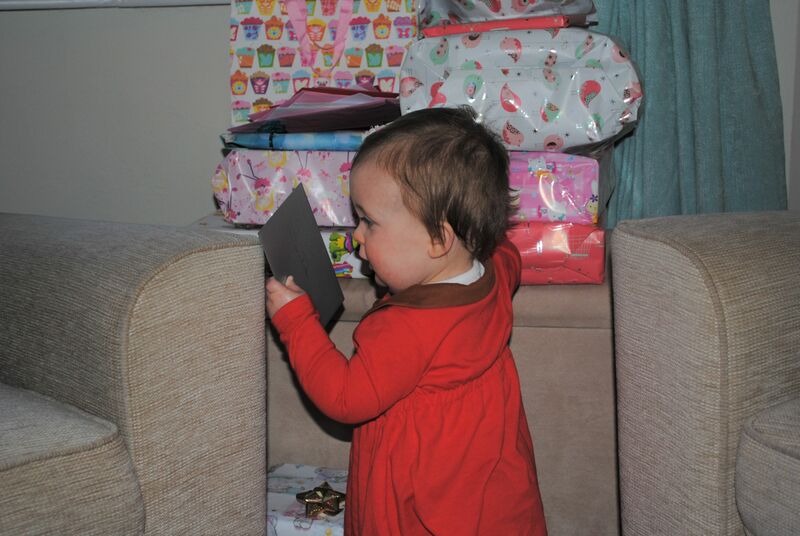 As with most children and especially ones that have opened presents for 5 consecutive days already she wasn’t really interested in more gifts and thankfully had considerably less to open than at Christmas. As bad as it sounds we didn’t want it going on much longer and so ‘helped’ her open them all up so she could get to what was inside. 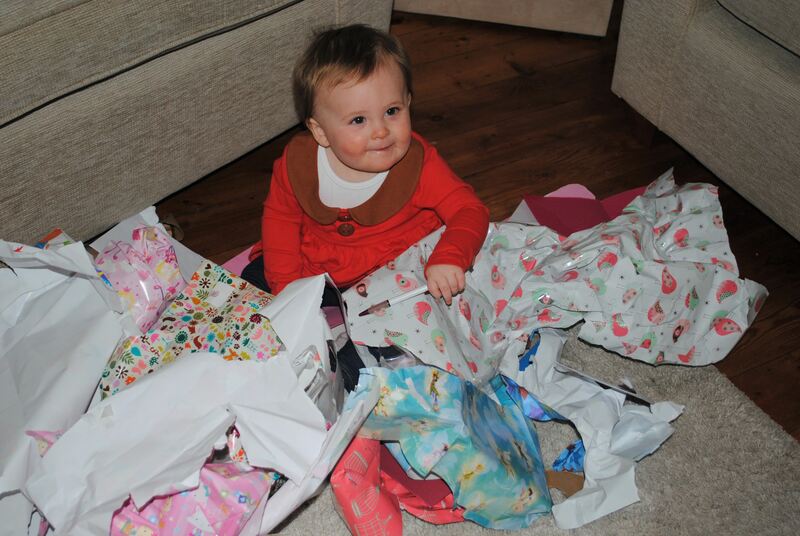 It turns out that was the best thing because what she liked was the paper and a pen! She sat there for ages bless her just drawing and scrunching up, which worked out well for me as I had a party to prep for! 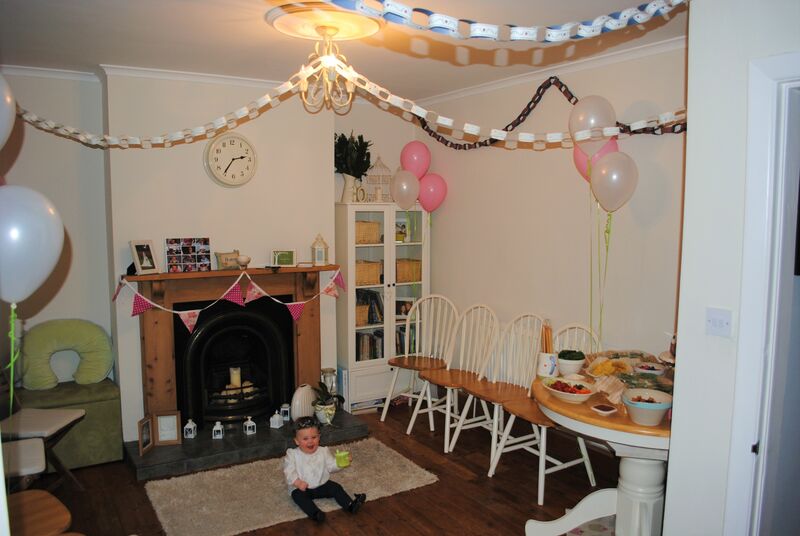 We decided to celebrate this first birthday with a simple party at home, at the time I knew alot of people with small children and also the people we had met through our nct class so we packed our cosy dining kitchen in our small 3 bed semi with as many people as we knew to share the joy in my baby girl turning one. 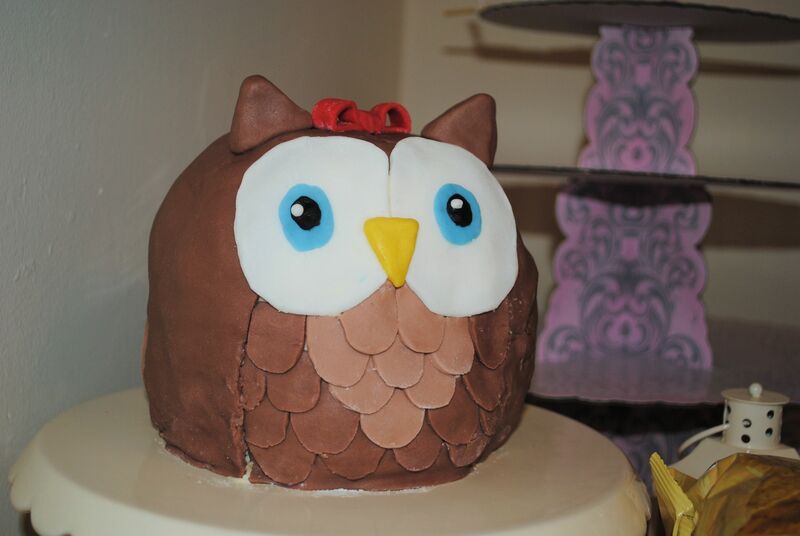 There wasn’t a theme as such but I knew I wanted to make her a cake, not only because she has allergies and I can’t just go to the shop and order a normal one but because I got it into my head it would be a nice tradition and that I should be the one always to make the cake she wanted for her birthday. 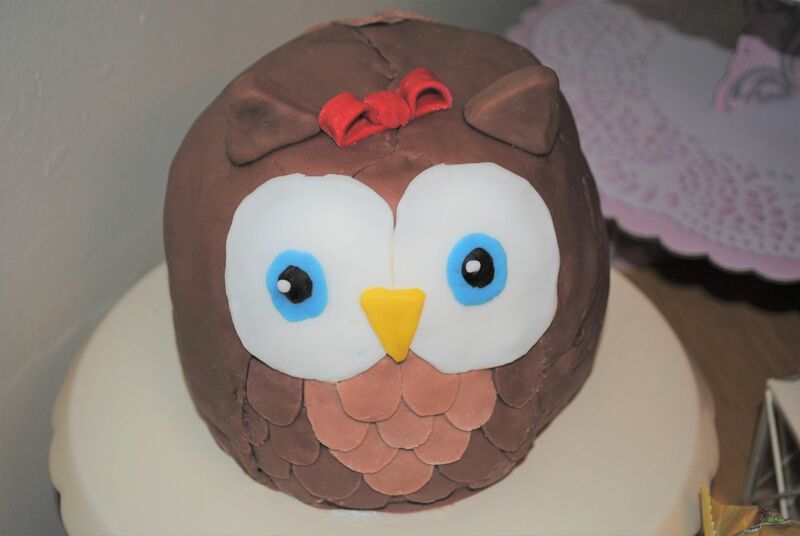 Of course at 1 she didn’t have a massive preference and I don’t even know where the idea came from now but I saw this little owl cake and decided to give it a go. And by, give it a go, I mean spend hours upon hours making it, almost giving up entirely and staying up till very very late to get it finished. Oh and leaving Eddy with the aftermath of the mess that was the kitchen once it was done! But despite it being a bit rough around the edges I was so proud of it and proud I had been able to do that for her. 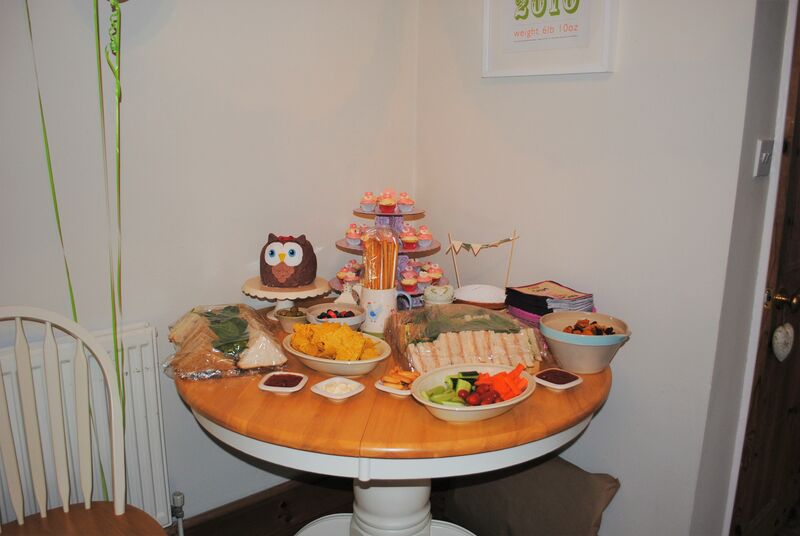 I also made a little buffet of all her favourite foods, some other little cakes and I even had my little craft project of sewing little party bags (I had a lot more time on my hands in those days!) obviously I wouldn’t put photos of other peoples children on here but I love that I can see the names on those bags and smile at her little friends and gosh how grown up they are now. 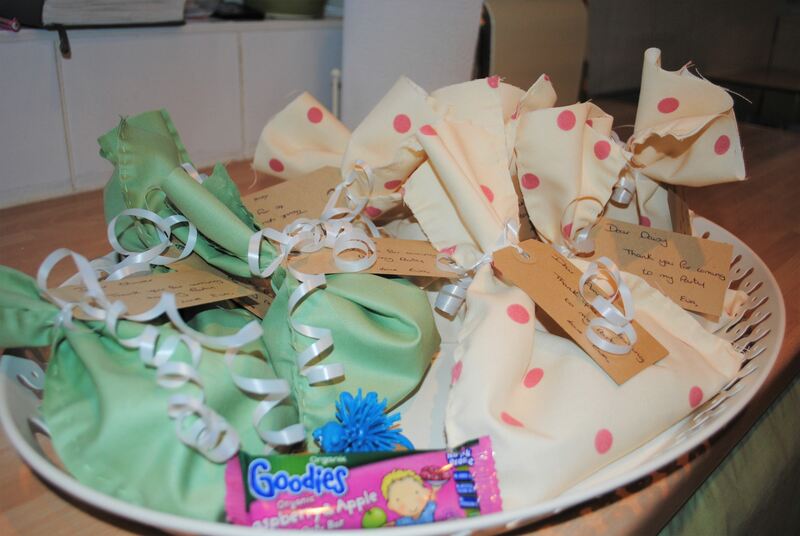 The party was as manic as 1 year old birthday parties at home are, the time is a blur of chatting in the kitchen drinking wine, attempting to get little children to pass the parcel along and sit still to standing back and having that sentimental moment that this was all for her. About how much had changed in such a short amount of time and how, had she not been here lots of these people we would never have known. I remember nudging Eddy at 3.46pm, the party was in full swing and we just scooped Eva up and gave her a kiss, little did she know that this was the exact moment we met her for the first time and each and every year at that exact minute I remember and I stop, I look at her and have the overwhelming love sweep over me, the feeling that I literally cannot imagine life not knowing that face, how it had changed life, and me, altogether, forever and how that was the best thing in the world.